Dr. David Michaels- your North York Dentist – offers oral surgery for the simplest to the most complicated dental procedures. Our North York dentist and our entire team of dental professionals at Dentistry on Wilson are committed to providing you with the best dental experience possible! From the simplest to the most complicated dental procedures, you can count on us being with you from start to finish and making sure that you’re comfortable, relaxed and experiencing minimal to no pain at all. We offer comprehensive dental care including the following oral surgeries to those who need it. There are several reasons for wisdom teeth to be removed, the most common of which is to avoid overcrowding which may cause pain and the misalignment of the rest of your teeth. Secondly, being at the back of the mouth, wisdom teeth are the most difficult teeth to clean, making them highly susceptible to cavities and tooth decay. At Dentistry on Wilson, we perform wisdom teeth extractions under local anaesthesia to provide you with an anxiety-free, peaceful and comfortable procedure. Dr. David Michaels, your North York dentist, will provide you with the necessary post-op instructions to ensure proper healing. 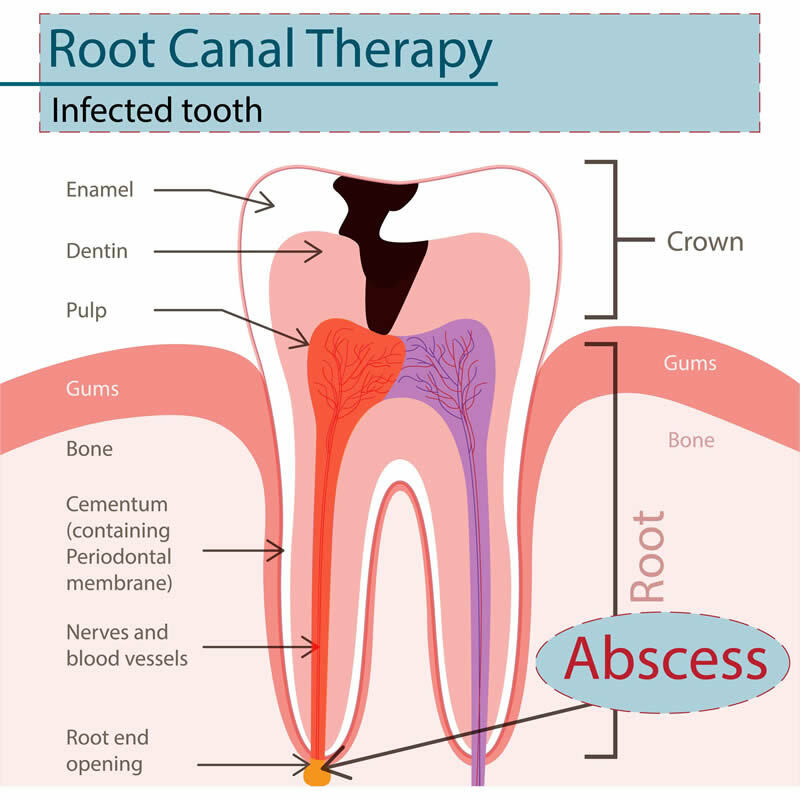 Endodontic surgery, also known as root canal therapy is a common dental procedure, performed when the tooth’s nerves are infected or damaged. 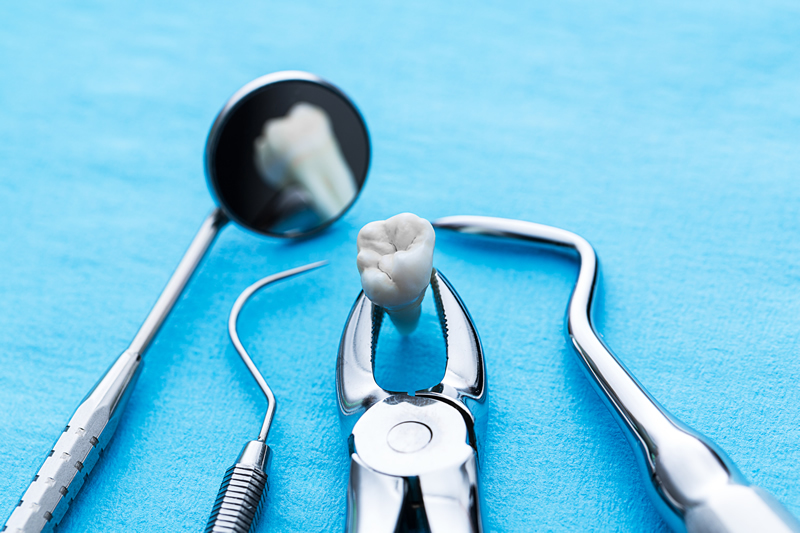 Sedation is usually used to bring the patient to a relaxed and comfortable state, while our skillful North York dentist performs the root canal therapy. He cleans out the pulp chamber, making sure there’s no sign of infection left. Then, he fills and seals the chamber and in most cases attaches a dental crown to restore the tooth’s shape, strength and function.Dr. David Michaels then provides you with the necessary post-op instructions to ensure proper healing and the prevention of future infection reoccurrence. Periodontal surgery is performed to restore and regenerate the form and function of lost or damaged gum tissue. Gum re-contouring is among the top periodontal surgeries we perform. The smile you’ve always wanted may just be below the surface. All we do is to cosmetically enhance your gum line, by unveiling enough surface from your teeth and evening your gum line to show your beautiful and proportionate smile. At Dentistry on Wilson we use the latest laser technology whenever possible for periodontal surgeries because of its faster healing, less bleeding and little discomfort for the best results. Gummy smile is one of the many procedures we treat with laser dentistry. 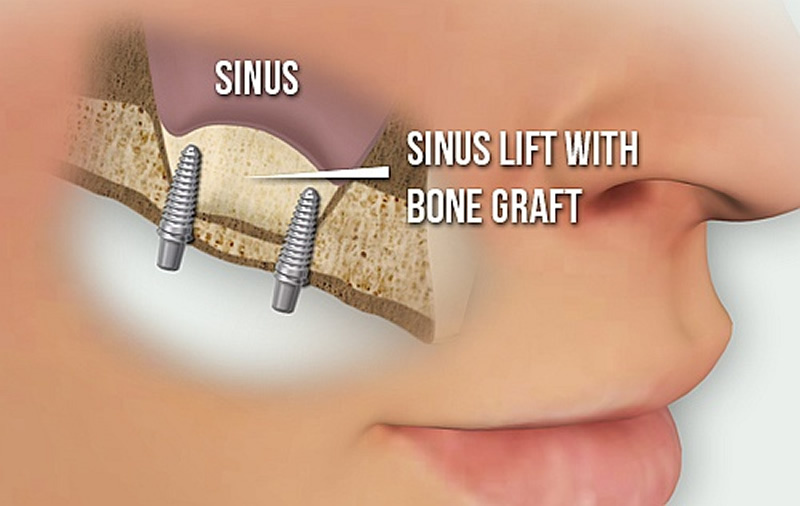 Sinus lifts are usually associated with bone grafts and dental implant procedures in the upper jaws. Just above the bone tissue of your upper jaw lays the nasal cavity known as the sinus cavity. The common technique for sinus lifts relies on exposing the bone and cutting a small circle in it, then lifting this bone piece into the sinus cavity. The space underneath the bone piece is then filled with bone graft material, which can regenerate lost bone and tissue. Once there’s enough bone tissue to hold the implant securely, the dental implant procedure is performed. Tooth loss, gum disease and injury are among the main causes for bone defects or bone tissue loss. Over time lack of bone tissue can have negative implications on your oral health and the stability of the rest of your teeth. 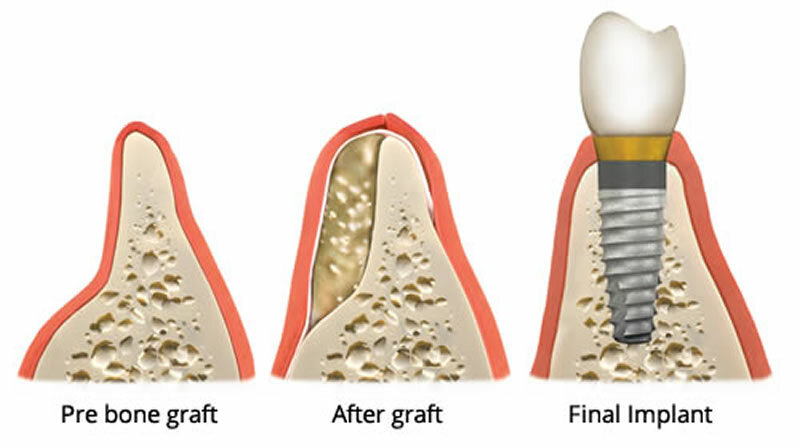 Bone grafts are performed to enhance the support around failing teeth, or more commonly to prepare your jawbone to accept dental implants.Bone graft surgery involves the placement of bone, or bone-like material to the area that’s lacking tissue. There are different types of bone that can be used for grafting. Your North York dentist, Dr. David Michaels will determine the best type for you.